Hey Friends! We're open, but the snowy weather seems to have knocked out our telephones for the time being. Please dial 912-644-7896 for assistance. The line will ring at The Marshall House, our sister property, and we'll be happy to help you with anything you may need! 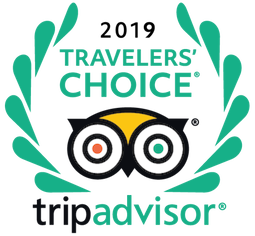 Winner in the Small Hotel, Top Hotel for Service, and Romantic Hotel categories of the 2019 TripAdvisor Travelers’ Choice Awards. 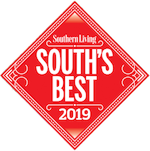 Also named “Best B&B” 2018 in the Savannah Morning New’s Reader’s Choice Awards, and ranked as Savannah's #1 hotel on TripAdvisor for three years. 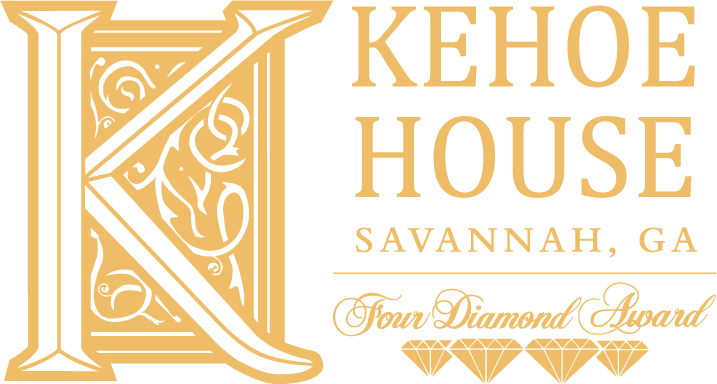 The Kehoe House, an exquisitely restored 1892 mansion, is a luxury bed and breakfast located in the center of Savannah's historic district. 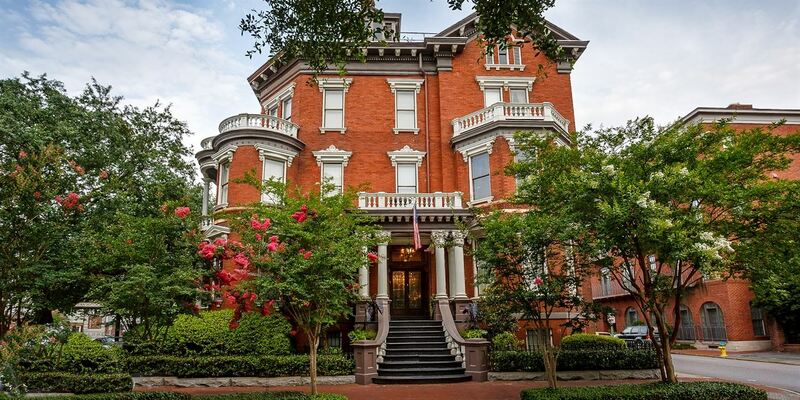 The Inn is listed on the National Register of Historic Places, and is one of the most frequently photographed historic mansions in Savannah. Our specialties are romantic occasions. From private elopements and honeymoons to anniversary celebrations, we have a romantic package to celebrate any occasion. 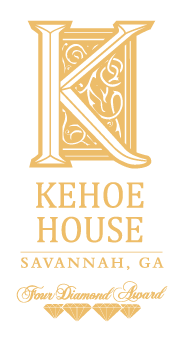 The Kehoe House was built in 1892 by William Kehoe, a successful iron foundry owner. The home's architectural style is Queen Anne Revival. 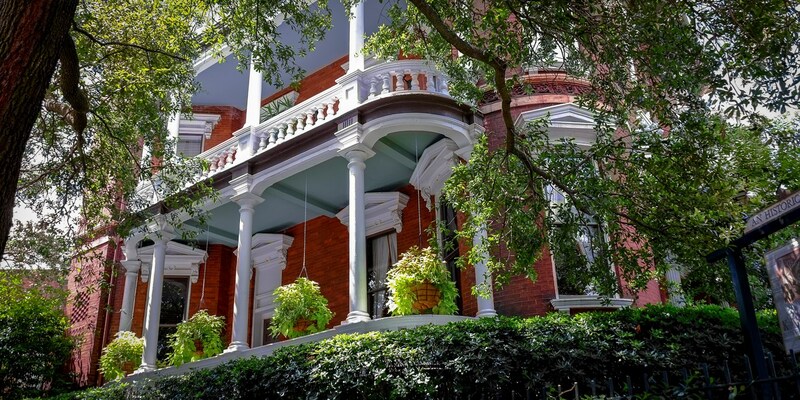 Its exterior stairways, balustrades, window treatments, fluted columns and capitals, fences and gates are all cast iron, a tribute to the iron foundry's excellence in pattern making and casting. The house overlooks Columbia Square, and features 13 guest rooms and multiple private and semi-private balconies. Amenities include daily gourmet cooked-to-order breakfast, a wine and hors d'oeuvres reception, homemade cookies, and turndown service. There's a private garden courtyard where guests enjoy a traditional Savannah outdoor space for dining and relaxing. 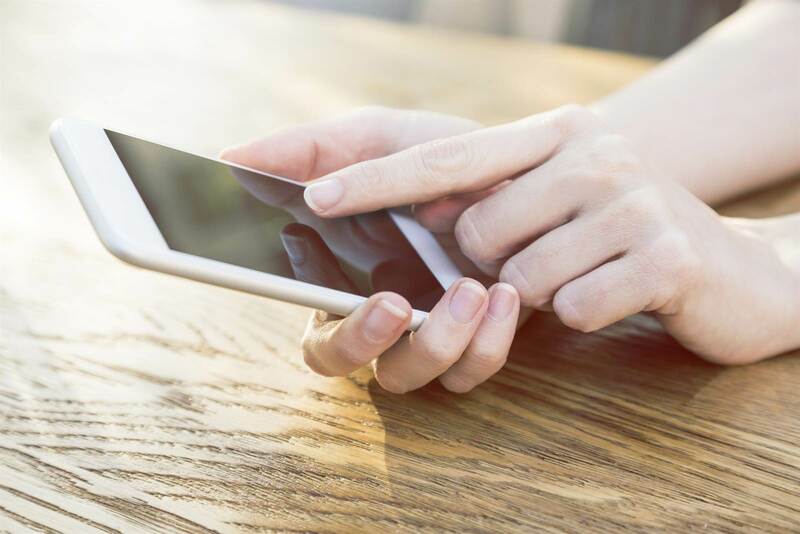 A concierge is on hand to assist with recommendations and reservations.